As moms, we often find ourselves in charge of the entire family’s health! 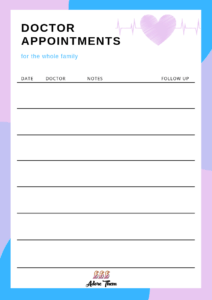 There are well-child visits, sick visits, eye doctors, dentists, and other specialists that we need to keep track on a regular basis. 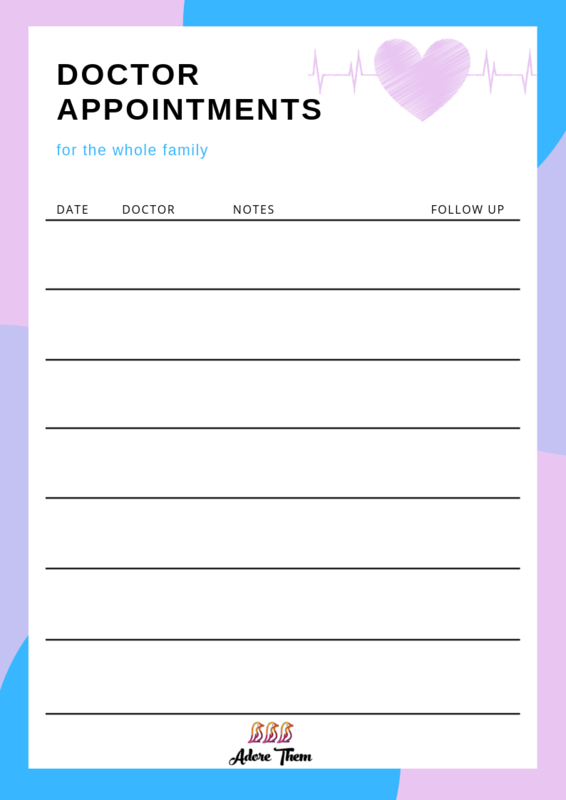 This free printable helps you see all of those appointments at a glance and keep track of notes and follow up reminders as-needed.